The following article was written by Ido Hartogsohn. He is an Israeli writer and psychedelic activist. His first book ‘Technomystica: Consciousness in the Age of Technology’ was published (Hebrew) in 2009. Hartogsohn is currently writing his Ph.D. on the role of set and setting in the psychedelic research of the 1950s and the 1960s. Psychedelics and Entheogens are two names for the same group of psychoactive compounds (usually referred to as ‘psychedelics’). These two terms delineate two very different perspectives on the proper way to use these psychoactive compounds. 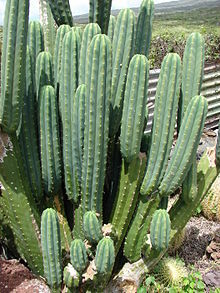 Is San Pedro a “Miracle Healer”? The following article was written, and published here with the permission of, Ross Heaven. The following essay has been written by Kevin Murray and is published here with his kind permission. Please find his contact details at the bottom of this article. Although it takes no stretch of investigative journalism to discover that FRANK is funded by the government (via the Department of Health and The Home Office). 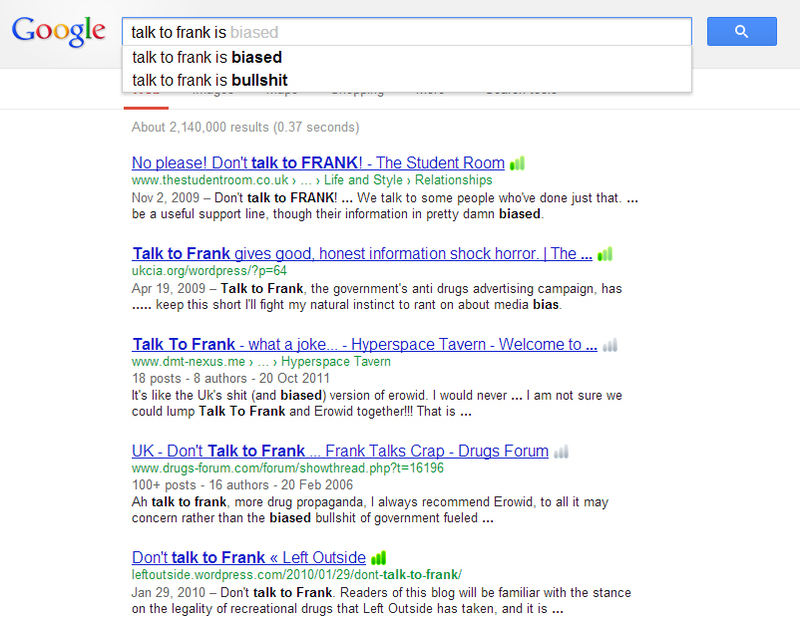 Those unsuspecting marks, lured to the ‘Talk to Frank website’ by its multi-million pound advertising campaigns, would have no idea about it’s government connections from the website itself. Nowhere on the website is it made clear that the charade is funded by the Home Office. Those visiting the site may wrongly assume that it is somehow independent, objective and fair. This article hopes to highlight the intentional misrepresentations of psychedelics on the part of the organisation FRANK. In particular, this article analyses the misrepresentation of LSD to those who visit the FRANK website looking for objective information. • around 40% of young people would contact the FRANK website compared to 22% who would contact their friends for information about drugs. The service offers “excellent value for money”, costing tax-payers a nominal £1-1.5 million per year. Drugs education will always be a conflicted matter. On the one hand, educators and officials want to see a decrease in drug use; on the other hand, there’s the truth. Now, nowhere on the FRANK website did we find any lies. As with so many things, it is just as important to spot what has >not been said< as to see what a given text makes explicit. So here’s the first thing an individual research LSD would see. It starts off with a cursory mention about positive effects: positive effects that are down-played and misrepresented. What the FRANK website isn’t so frank about is the widespread personality, emotional, and spiritual transformations that research shows are fairly likely to occur. It dedicates ONE SENTENCE to the positives, within which it refers to them with a metaphysically loaded (and dismissive) term “hallucinations”. The rest of this neutral and unbiased introduction is dedicated to the negatives, it is dedicated to fear-mongering. Note that FRANK doesn’t provide much in the way of numbers: it doesn’t say what percentage of experiences are good or bad, it uses words like “depressed” to insinuate mental health issues, whilst being a little sparse on any evidence. Now let’s look at ‘The Risks’ section, note: there isn’t a section for benefits, clinical uses, or any research indicating that LSD can make a positive contribution to one’s life. 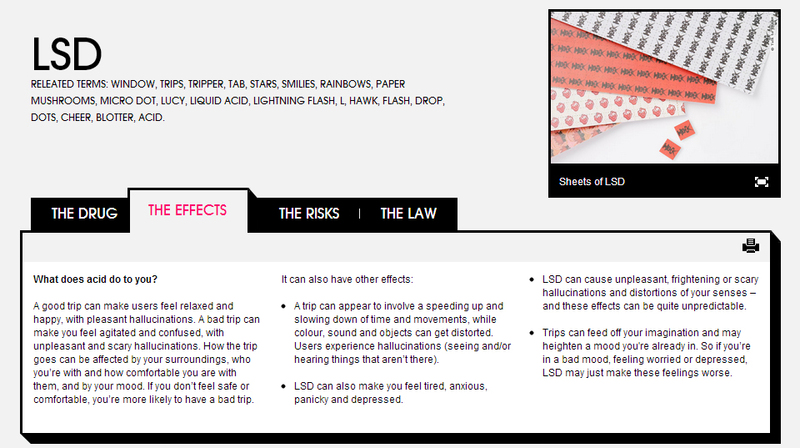 It is also honest about LSD being non-addictive, and that impurities with LSD are rare. This does raise the question, why such matters have their own sub-headings? Here’s the sneaky bit though. The ‘experience reports’. Now, there doesn’t seem to be a mechanism which allows for people who have used LSD to submit their own reports, that’s a little strange isn’t it? One would think that, when designing a website which provides unbiased information, which offers “first hand accounts” of drug experiences, that it might be an idea to provide a function that allows drug users to submit their accounts? 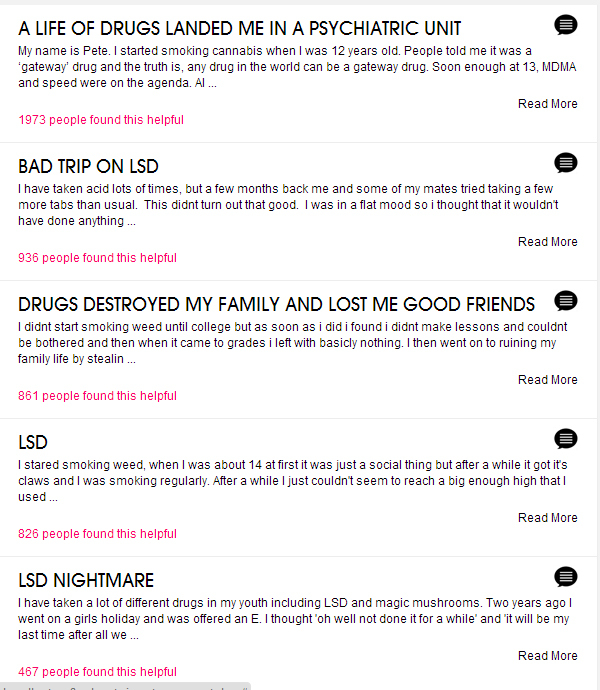 If LSD is so bad, why not just let people who have used it write their feedback? The truth about LSD can go no further than the experiences of those involved with it. Which allows users to submit their accounts. As we are about to see, there is sufficient evidence to indicate a very heavy bias in their selection process. I invite any qualified readers to try and submit a positive LSD experience to the FRANK website and see how far it gets! Let’s just compare the headings for FRANK’s LSD reports to those contained on Erowid. In fact: it has over 1000 reports (on LSD alone), categorised in various useful ways. It has amassed a huge collection of experience-reports which are the result of hundreds of different drugs, in myriad combinations, being described by thousands of individuals. FRANK offers only five experience reports, most of which feature LSD being abused, misused, and mixed with other drugs, perhaps you can identify the selection bias? The implication of these reports, for a reader who is looking for some cursory information about the effects of LSD, is that the experience will be nightmarish, will “destroy your family” and “cost you good friends” and probably land you in a psychiatric unit. 1) LSD is far more likely to produce positive experiences than negative. 2) That the nature of those positive experiences is often described as profound by it’s users. If FRANK wants to be frank about LSD, it needs to be a little more FRANK about what motivates people to use it, how MOST people find the LSD experience. If it wants to avoid the inherent biases of subjective reports, perhaps it could refer to more scientific information. If it wants to provide a truly neutral resource, it ought to avoid generalisations and selection biases. Perhaps most important of all, FRANK ought to be honest and explicit about it’s connections to the government. It is a political website pretending (by omission) to be non-political. It is a service built to serve the interests of the state, pretending to serve the interests of the individual: the harmony of those interests is a matter of great controversy. TLDR: Don’t talk to FRANK, talk to erowid. Taoist philosophy is extremely interesting when looking at it within the context of the psychedelic experience. Whilst there is largely a consensus regarding the subjectivity of the psychedelic experience there are certain common aspects which seem to permeate the experience from individual to individual, despite the supposed subjective nature of it. Taoism may ultimately provide us with a framework through which to understand the psychedelic experience in a constructive manner, whereby we may be able to examine various seemingly intuitive revelations through a certain lens.